Forza Horizon 3’s Xbox One X update is now live and it’s a damn good one, featuring native 4K resolution at rock-solid 30fps and 4XMSAA to ensure there are no jaggies in sight at all. There’s even more customization under the hood, though, which is why Digital Foundry interviewed a few key developers at Playground Games. One particularly interesting question was whether it would have been technically possible to run the game at 1080P resolution and 60fps, which some fans had been wondering about, on Xbox One X. Creative Director Ralph Fulton replied that it would be certainly possible on the machine, though the developers focused on enhancing the visuals for this instance. I don’t think there’s any doubt that the Xbox One X would be more than capable, more than powerful enough [to do it]. I mean, Forza Motorsport 7 was there at launch running at 4K and 60fps, which made us feel great that the franchise was represented at the launch of Xbox One X. They did a phenomenal job. Like I said, this goes back to choices, you know, the choice that we made for this particular enhanced version was to go after visuals and see where we could get there. But yes, there’s no doubt that the console is powerful enough for that. 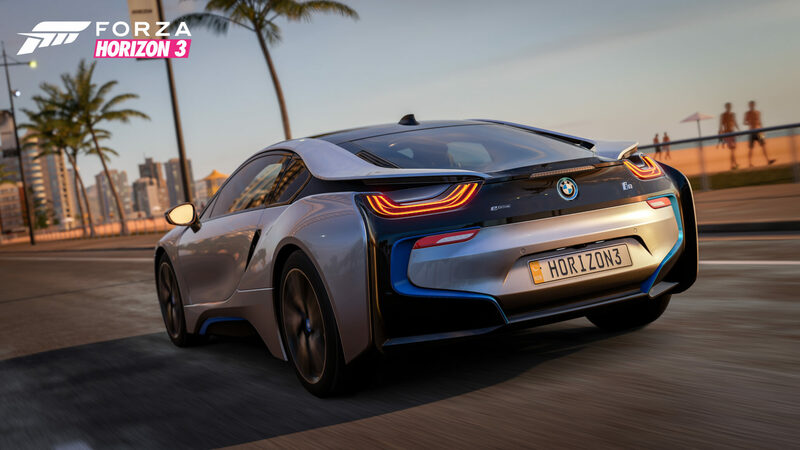 On how the Forza Horizon 3 Xbox One X update stacks with the PC version, Playground’s Lead Rendering Engineer Andy Sage and Technical Director Alan Roberts said that it’s a custom profile with some settings that are even higher than PC’s Ultra and others that are the same from Xbox One. We’ve taken a bunch of the things we felt had the biggest impact on graphics quality and applied them. We’ve noticed that with some things on Xbox One X such as the bandwidth available we can push sometimes even higher than what was available on PC. Because we’ve got a fixed hardware, we can tune settings for that hardware across the different sections of the game. For instance, shadow resolution is 4K across the board on Xbox One X. On the other hand, the texture set is the same from Xbox One but we have increased the level of anisotropic filtering and we’re seeing a massive benefit across the board in that respect. Everything is pushed to 16X AF and you see it pretty much everywhere. Another important thing to note is that when you go to 4K and you resolve at that resolution, you’ll actually see a lot more of the texture detail coming through even if the textures don’t change resolution. Finally, they’ve concluded that there’s still headroom to push the Xbox One X even further on Playground’s next projects, which will use the new console as the lead platform. These games should be Forza Horizon 4, possibly set in Japan according to rumors, and a new Fable title that’s still early in development.